2.8kVA Gentech EP2800HSR is powered by Honda. 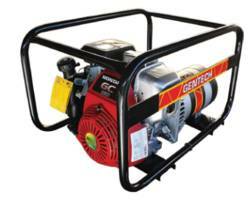 This generator is small, light weight and easily transportable. Using a high quality alternator, this generator has a distortion rate of less than 6%, making it an ideal power solution to run the essentials when blackouts occur or to get the job done on the farm or work site.